Originally established with a ‘one-off anthology’ launch at Ledbury Poetry Festival 2013, V. Press’s founding editors are Sarah Leavesley and Ruth Stacey. From 2015, V. Press moved into publishing its solo-author poetry and flash fiction pamphlets and collections, with Sarah staying on as editor and Ruth looking after poetry cover design. 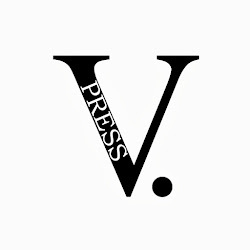 In 2018, the press opened to expressions of interest in guest editor roles to develop and expand the V. Press range. S.A. Leavesley (Sarah James) is an award-winning poet, fiction writer, journalist and photographer, as well as V. Press's main editor. Overton Poetry Prize winner 2015, she is author of four poetry collections, three poetry pamphlets, a touring poetry-play and two novellas. 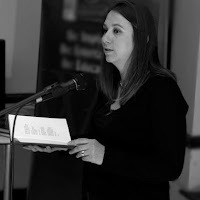 Her poetry has won or been shortlisted for many prizes, with individual poems published by the Financial Times, the Guardian, The Forward Book of Poetry 2016, on Worcestershire buses and in the Blackpool Illuminations. Her poetry has featured on the BBC, in poetryfilms and on radio. Shortlisted in the Gatehouse Press New Fictions Prize 15/16, she's also a widely published flash, essay and CNF writer. She reviews for Riggwelter, as well as micro-reviews and 'In the Booklight' author interviews on her own website. Her books include: Always Another Twist (Mantle Lane Press, 2018), novella; How to Grow Matches (Against The Grain Press, 2018), poetry pamphlet, shortlisted in International Rubery Book Awards 2018; Kaleidoscope (Mantle Lane Press, 2017), novella; Lampshades & Glass Rivers (Loughborough: Lamplight Press, 2016), poetry pamphlet, winner of the Overton Poetry Prize 2015; plenty-fish (Nine Arches Press, 2015), poetry collection, shortlisted in International Rubery Book Awards 2016; The Magnetic Diaries (Knives, Forks and Spoons Press, 2015), poetry collection, highly commended in Forward Prizes, poetry-play version toured by Reaction Theatre Makers and a 'Highly Recommended Show’ at Edinburgh Festival Fringe 2016; Hearth, with Angela Topping (Mother's Milk Books, 2015), Poetry Book Society Autumn Pamphlet; Be[yond] (Knives, Forks and Spoons Press, 2013); Into the Yell (Circaidy Gregory Press, 2010), third prize in multi-genre International Rubery Book Awards 2011. She has a modern languages degree from Oxford University, a postgraduate diploma in newspaper journalism from University of Wales, Cardiff, a masters in creative writing from the Manchester Writing School at M.M.U. and a C.I.M. level 4 in marketing. Ruth Stacey is a poet, academic and illustrator based in Worcestershire. Her recent poetry collection, Inheritance, won best collaborative work in the Saboteur Awards 2018. Her collection, Queen, Jewel, Mistress, was described by Fiona Sampson as, '…an astonishing debut…a beautiful and dreamlike collection.' Alison Weir said, 'the poems are exceptional…every line is a joy!' Ruth has a pamphlet, How to Wear Grunge, from Knives, Forks & Spoons press, and a full-length collection forthcoming with V. Press. 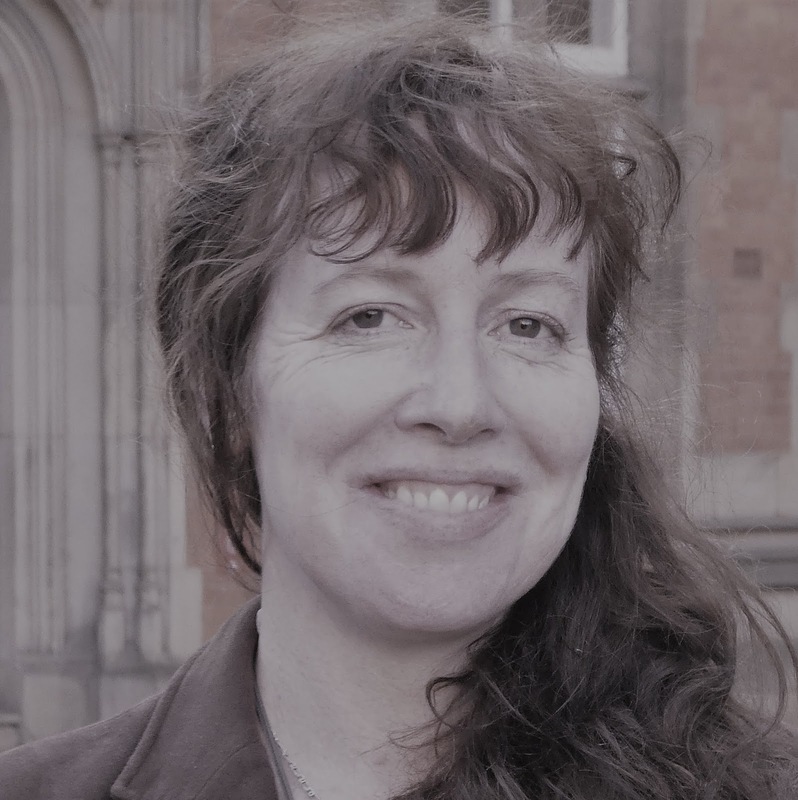 She is currently working on a memoir in poems about Pamela Colman Smith as part of her PhD in Creative Writing at Northumbria University, and teaches creative writing and literature at Worcester University. Ruth is also a guest editor for Mingled Space by Margaret Adkins, winner of the inaugural V. Press Prize for Poetry. Carrie Etter grew up in Normal, Illinois, spent thirteen years in southern California, and moved to England in 2001. 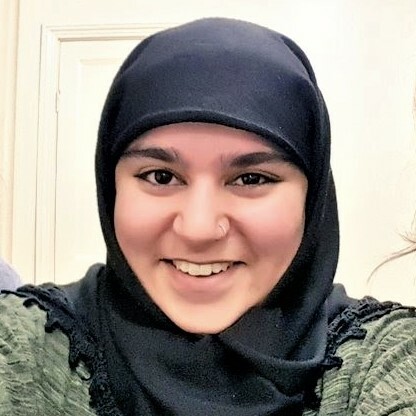 Her fourth collection of poetry, The Weather in Normal (US: Station Hill; UK: Seren), will be published in autumn 2018; her individual poems have appeared in Poetry Review, The Times Literary Supplement, The New Statesman, The New Republic, and many other journals in the US and UK. Her V. Press pamphlet, Hometown, is her first collection of fiction. 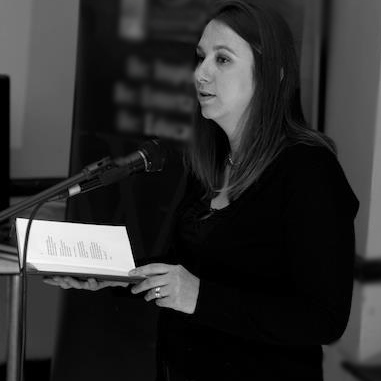 She is Reader in Creative Writing at Bath Spa University and also teaches for The Poetry School and Poetry Swindon. She is guest editor of Natalie Linh Bolderston's The Protection of Ghosts. Mary-Jane Holmes has lived and worked as a teacher, editor and translator in many places including Spain, France and Switzerland. Since 2009, she’s been chief editor of Fish Publishing, Ireland. She is creative director at the Casa-Ana writing retreat in southern Spain and editorial consultant at The Well Review. Her debut poetry collection, Heliotrope with Matches and Magnifying Glass, is published by Pindrop Press. 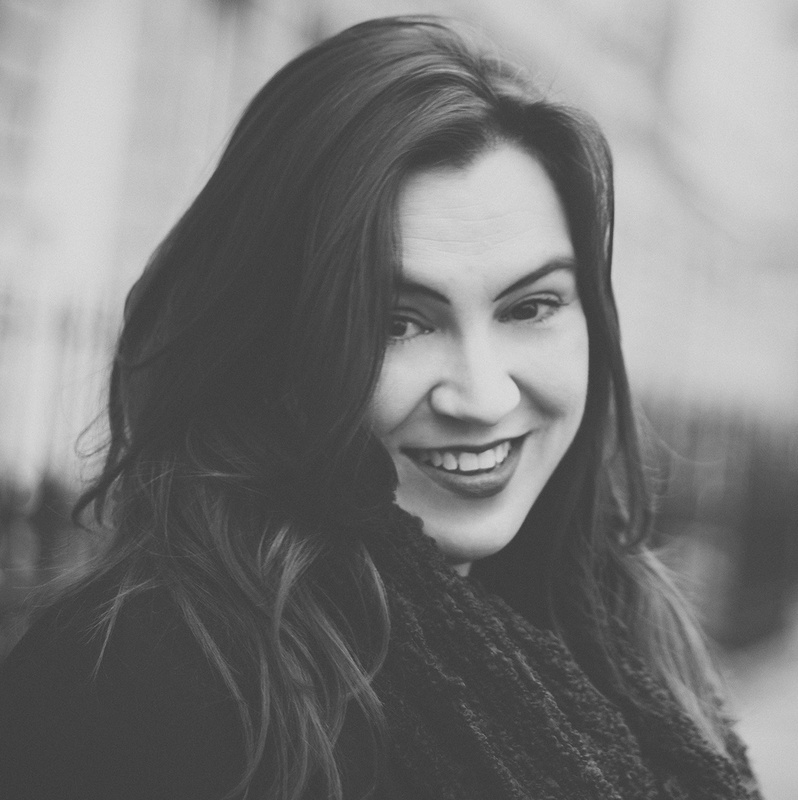 Irish Poet Dave Lordan has described her as "perhaps the most convincingly rural and at the same time convincingly contemporary English poet since Ted Hughes". Winner of the 2017 Bridport Poetry Prize, the Martin Starkie Poetry Prize, the Bedford International Poetry Prize and the 2014 Dromineer Fiction Prize, her other publication credits include Mslexia, The Journal of Compressed Creative Arts, Prole, The Tishman Review, The Lonely Crowd and The Best Small Fictions Anthology 2016 and 2018. She has a Master of Studies in Creative Writing from Kellogg College, Oxford (with distinction). She is guest editor of Jinny Fisher's The Escapologist. 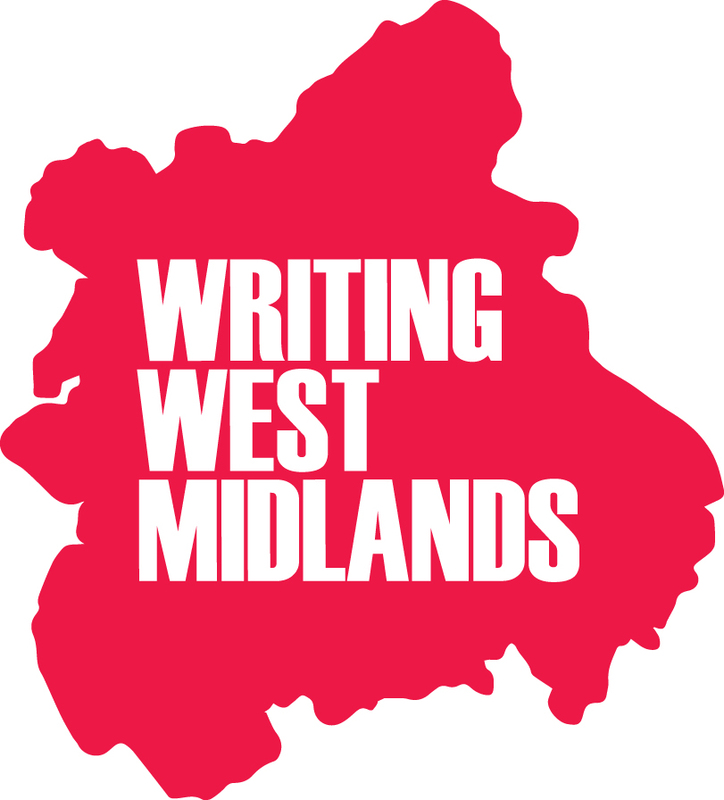 Based in the West Midlands but publishing authors from across the U.K., V. Press is very grateful for invaluable support and advice from literature development agency Writing West Midlands. Also to Jane Commane at Nine Arches Press for her encouragement and publishing insights. 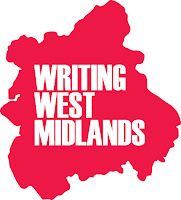 V. Press was very very delighted to work with Kibriya Mehrban as a University of Birmingham Post-Graduate Cultural Intern in partnership with Writing West Midlands.